The use of insects as an alternative source of protein in animal feed is becoming more globally appealing. 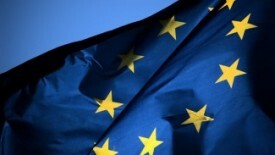 However, EU law currently prohibits including protein derived from insects in animal feed – with the exception of feed intended for fish or shellfish. Concerns over food security have highlighted the need to find more sustainable protein sources. 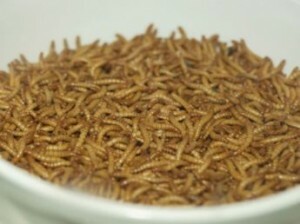 Insects are increasingly recognised as an excellent protein alternative for use in animal feed. Many species are highly nutritious and the production of insects has less environmental impact compared with traditional sources of livestock feed protein. Insects can also be reared successfully and quickly on a range of organic waste materials, thus reducing the overall amount of waste created in the process by up to 60 percent. The remaining waste can also be recycled as fertiliser. Insects can be reared economically by using substrates, such as vegetable and domestic waste and manure. Legislation on the safe use of substrates will also need to be considered. The research project PROTEINSECT (‘Enabling the exploitation of insects as a sustainable source of protein for animal feed and human nutrition’) was set up by the Food and Environment Research Agency (FERA) in the UK, with partners in China and Africa as well as mainland Europe, in order to drive forward changes in current EU legislation. The project is looking into the efficiency and safety of increasing the use of this protein feed source. It is hoped that insect protein will also eventually be permitted in pig and poultry feed, particularly as these animals already consume insects as part of their natural diet. “To enable protein from insects to become a significant component of animal feed, European legislation must be changed if we want to allow it to be fed to pigs and poultry as well as fish,” commented Elaine Fitches, coordinator of the FP7-funded PROTEINSECT at FERA. “Our work in PROTEINSECT is establishing the evidence base that this is a sustainable, safe and economic source of protein, delivering quality food for human consumption as well as significant environmental benefits,” she added. She said that the views of the public about the production and use of insect protein for animal feed are of great interest to the project, and urged the public to complete a short survey now available on the FERA website.